A new self-driving shuttle bus got off to a bumpy start in Las Vegas. When the service debuted in the city on Wednesday, one of the driverless vehicles was involved in a collision with a delivery truck, the Las Vegas government said in a statement. During the incident in downtown Las Vegas, the bus automatically stopped to try avoid an accident after its sensors detected the truck, the city said. "Unfortunately, the delivery truck did not stop and grazed the front fender of the shuttle," it said. "Had the truck had the same sensing equipment that the shuttle has, the accident would have been avoided." Local media reported that nobody was hurt in the accident. 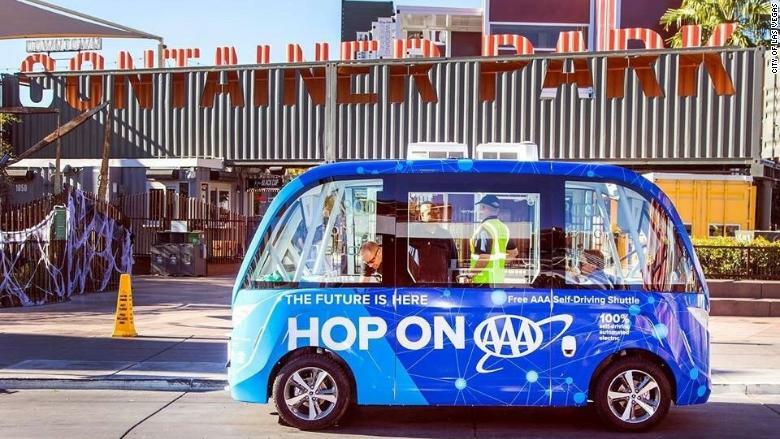 The Las Vegas self-driving shuttle is a 12-month pilot project by AAA and Keolis, a transportation management company. The buses offer free rides on a 0.6 mile route around a district the city is developing as a technology hub. 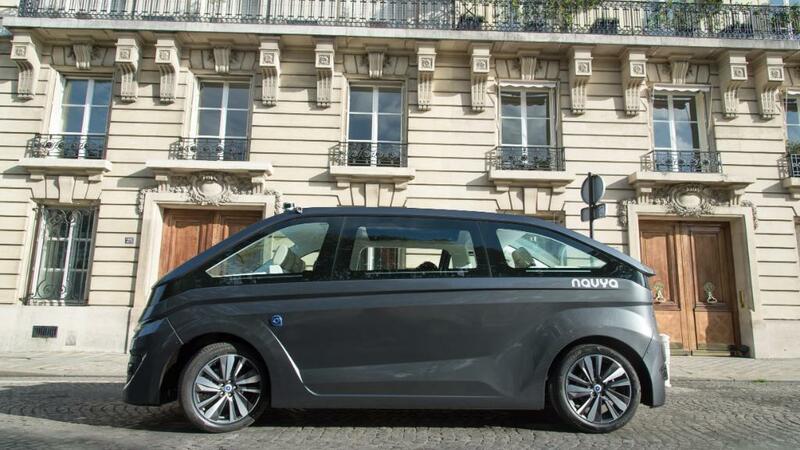 The electric vehicles, which have eight seats, are made by Navya, a French company. Las Vegas is testing a self-driving shuttle, which got into a minor accident on its first day. The pilot project will test how the self-driving shuttle fares as part of the city's transportation network while exposing the public to driverless technology. The eight passengers inside the shuttle involved in the crash were all reported to have been wearing seat belts. One of them, Jenny Wong, told local broadcaster KLAS that it appeared that the truck driver hadn't seen the shuttle and continued to back up. "We were all like, 'Oh my gosh, he's going to hit us, he's going to hit us,' and then, BAM!" she said. The truck driver was cited by authorities over the accident, the city said. The shuttle was pulled from service for the rest of the day, but the city plans to continue the pilot project.